Live Creating Yourself. 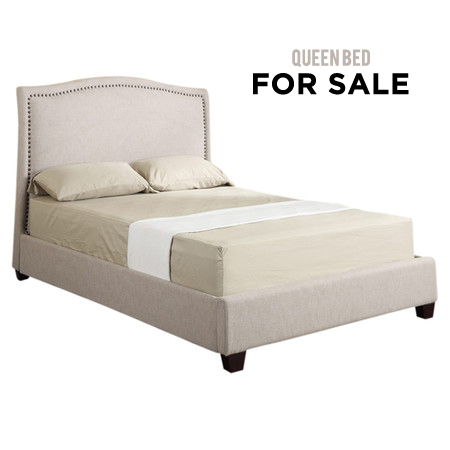 : LCY Yard Sale: Neutral queen-sized upholstered bed! LCY Yard Sale: Neutral queen-sized upholstered bed! Hey everyone! So I bought a new bed off Joss and Main on a complete whim and found a different headboard on sale elsewhere that I actually want instead. I know I am crazy. No need to tell me. So I am selling it! It's literally never been used. The base is still unassembled in a box. Super neutral, nailhead trim, works in any space. Asking $300 or best offer/highest bidder. Retails for over $500 on Wayfair. Email me at alaina dot lcy at gmail dot com! Would love to see it go this weekend! OMG whyyy do I have to live in SF?! This is exactly what I've been looking for, but it's usually out of my price range...sad face :( Someone in Chicago is very lucky! Your bed is gorgeous and the headboard is truly stunning. The cabinet that holds the linens is so pretty too.